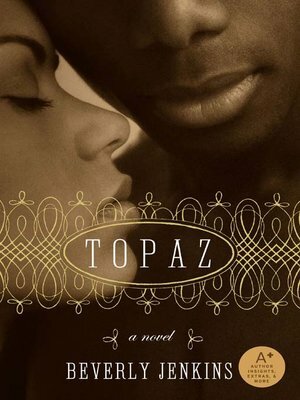 Ambitious newspaper reporter Kate Love's determination to unmask a railroad stock swindler has led her to the brink of matrimony with the wealthiest, most eligible black man in the East—the very scoundrel she intends to expose! But at the last possible moment a champion appears to whisk her away from the altar: Dix Wildhorse, a Black Seminole marshal from Oklahoma's Indian country. A daring black knight whom Kate's father sent to rescue—and wed—the free-spirited ebony hellion, Dix ignites fires within her with just a touch, a whisper, a brazen kiss. But Kate isn't about to abandon her career to become the dutiful wife of a lawman who wants to keep her wrapped up in a protective cocoon. As the battle of wills intensifies, the heat of their passion blazes with unmatched fury. And only total surrender will unleash the sweet ecstasy of love.